Announcing French translations for Unit 1 lessons and videos! As educators and librarians, incorporating digital citizenship into our daily instruction can be a tall order. We first need to reflect on our own habits in order to model a balanced digital life. Then, we must take every opportunity throughout the day, planned or not, to encourage proactive, safe, responsible, and ethical online behavior. No easy task! So imagine the added complexity of trying to teach these important lifelong skills to students learning a second or third language. While the numbers vary within each province, approximately 65% of Canadian students are enrolled in a French second-language or immersion program. As well, another 35% of students are enrolled in a core French program. Many English classrooms across Canada have used Common Sense’s digital citizenship lessons and videos for years. In 2014, a small group of Canadian educators discussed the importance of having digital citizenship resources available in both official languages in order to deliver the same message, and model the same actions, in both English and French. They contacted Common Sense Education to propose a collaborative project. Today, we're happy to announce that all of the Common Sense Digital Citizenship Scope and Sequence Unit 1 lessons (20 in all) are available in French. Even more fantastic is that all videos included in those lessons were translated and subtitled as well. These videos can be found on Common Sense Education's YouTube Channel. 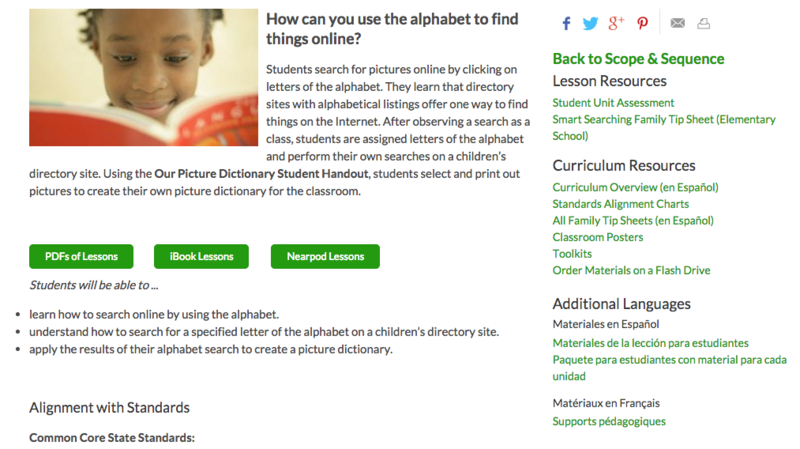 To locate the lessons, navigate through the Scope and Sequence to a lesson page. In the right column, you'll see a section titled "Additional Languages," where the matériaux en français can be found. These lessons and videos are a tremendous asset to Canadian educators. The concepts, message, and vocabulary are easy to understand and consistent but grow in depth and complexity with each grade. The lessons will work well in a traditional French mother tongue classroom, as well as with students learning French as a second language. And though these lessons were translated into Canadian French, with some minor adaptations, French-speaking educators and students around the globe could use them as well. We are looking forward to the possibility of building on what we've accomplished and making even more French Digital Citizenship lessons available in the future. We anticipate creating French translations of the Unit 2 materials very soon! As Digital Citizenship Week quickly approaches (October 19-23), I'm sure many French teachers in Canada and around the world will be over the moon to learn about these lessons and videos. In our work developing a generation of proactive, creative bilingual learners, having a new series of French Digital Citizenship resources is greatly appreciated! *Thank you to the Lester B. Pearson School Board for facilitating this collaboration.